The Hierophant was a tricky card for me. 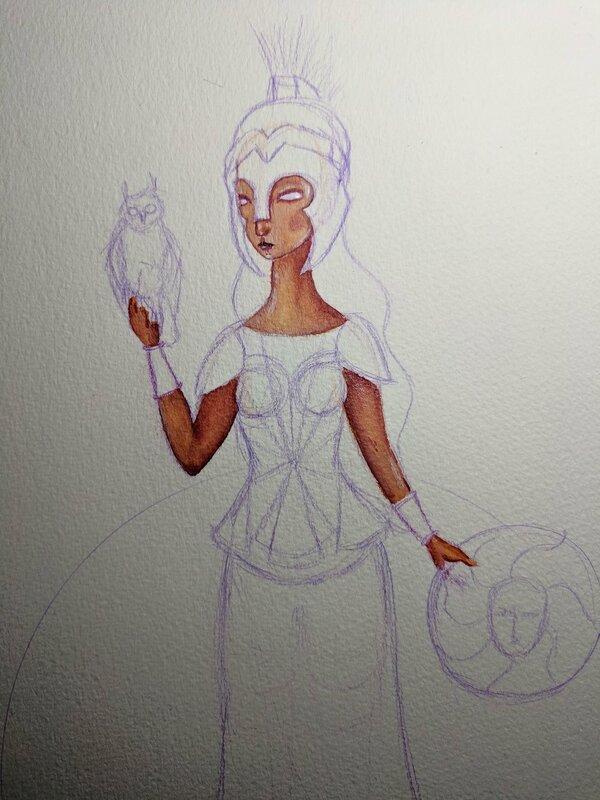 A card of wisdom and with connotations of war, Athena seemed like a good fit as the Greek goddess of wisdom, craft and war. Often depicted as a pope-like figure I didn’t like that imagery associated with it, but after researching a bit more I discovered that this card is also known as the High Priest and is a counterpart to the High Priestess. 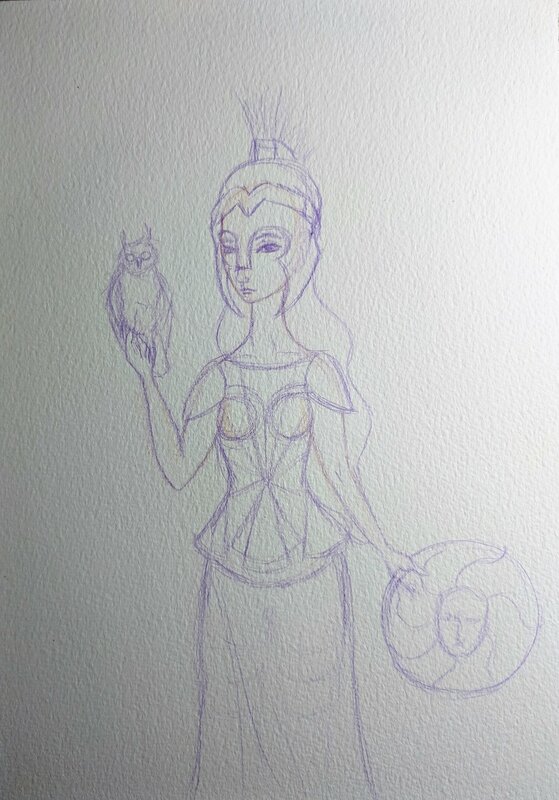 This ended up being really fun to paint as my High Priestess is the Egyptian goddess Isis, and so I went for a very similar composition, but opposite. 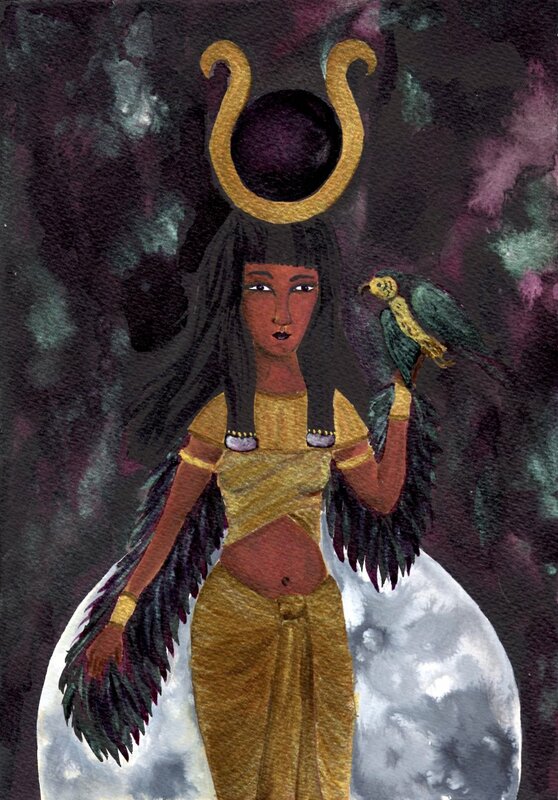 Whilst Isis as the High Priestess is portrayed with a full moon in a glittering galaxy-esque night sky; Athena as the High Priest is depicted against a roaring sunrise. I like that they are facing each other! I enjoyed painting this as I got to really go to town with all the gold for her armour! The shine is fantastic, and it definitely evokes that solar feeling when looking at it!